JUMLA, Feb 24: Bhim Prasad Dhital was feeling good on returning back to his village from Kalapahad. 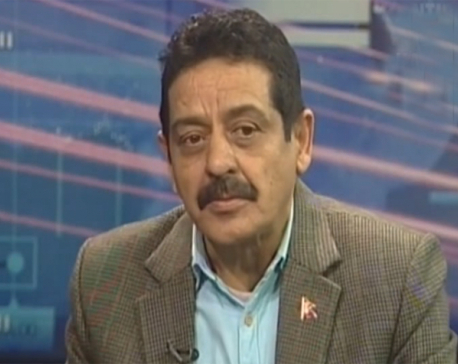 He had left for Kalapahad right after Dashain. 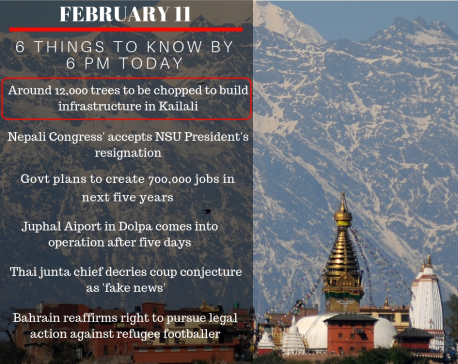 Locals in Jumla go to various parts of India in search of employment and refer all those destinations collectively as Kalapahad. I once had the rather unique experience of being an invigilator for the EPS-TOPIK exams conducted in Kathmandu. For those of you in the dark, the EPS TOPIK is the official language exams that you need to clear to be eligible for employment in South Korea. 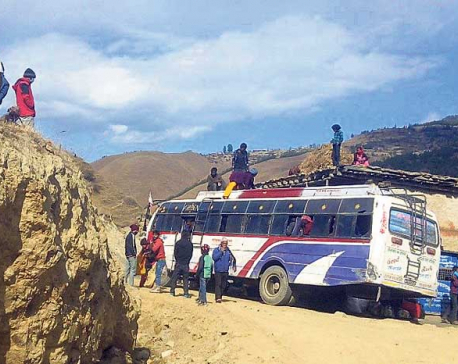 Over the two days that the exams were held, I met Nepalis – by the busload – from every geographical area or, as the politicians are often fond of saying, from Mechi to Mahakali. The busload point is rather important because these folks came from far-flung areas, not in trickles but in droves, in organized systematic fashion. 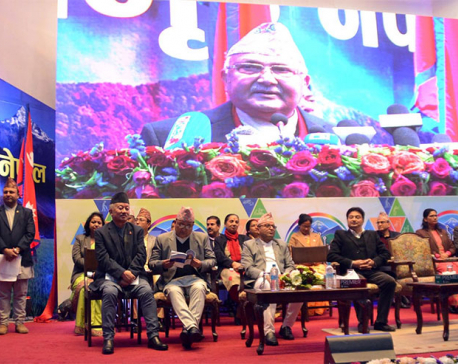 KATHMANDU, Feb 6: The government which has vowed to end forceful foreign employment within five years is in its final bid to announce the 'Prime Minister Employment Programme'. 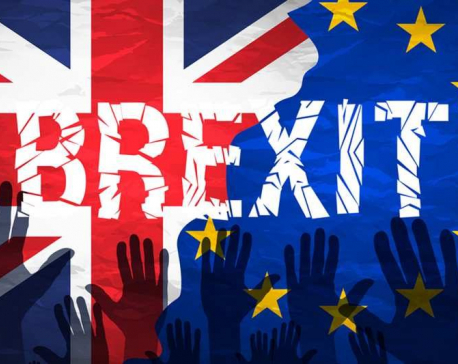 LONDON, Jan 28: British businesses implored politicians on Monday to stop quarrelling over Brexit and agree an orderly exit from the European Union, as some big firms set up emergency situations rooms to cope with the possible tumult of a no-deal divorce. 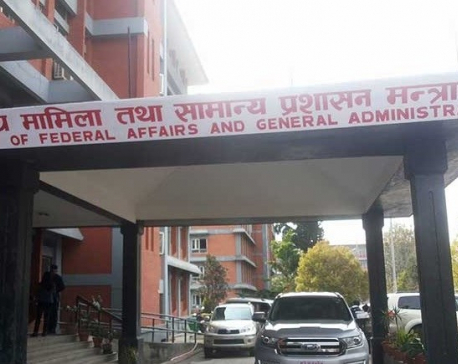 KATHMANDU, Jan 16: The Ministry of Federal Affairs and General Administration (MoFAGA) has said that the 21-day deadline given earlier to civil servants to file online applications mentioning the adjustments of their choice in the three tiers of government won't be extended. KATHMANDU, Dec 21: Nepal and France dwelt on the matters meant for enhancing bilateral interests and mutual benefits through an exchange of employment opportunities. KHOTANG, Nov 16: The number of students joining the technical schools for technical and vocational education in Khotang district is on the rise of late, thanks to better employment prospects after the graduation in the technical subjects. 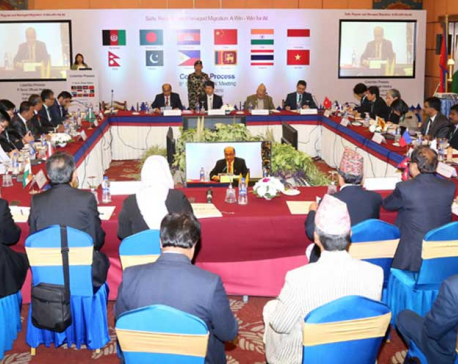 KATHMANDU, Nov 15: The meeting of the Colombo Process is taking place in the capital to hold consultations on the common interests and concerns of the migrant workers and to discuss on international migration and work covenants. 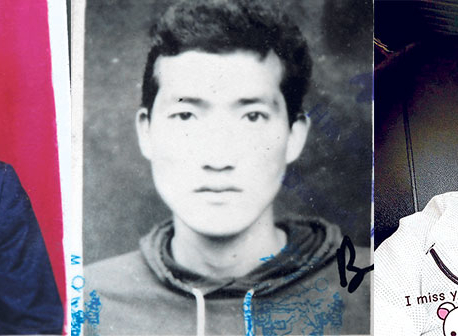 Until six months ago, departure of Nepali migrant workers to Malaysia was unhindered, but the agonies, hurdles and pains of our potential and returnee migrant workers were beyond words. However, the Memorandum of Understanding (MoU) on ‘Recruitment, Employment and Repatriation of Workers’ signed on October 29 between the government of Nepal and the government of Malaysia will hopefully make things better for Nepali workers. Thanks to a dozen plus migrants-friendly points. 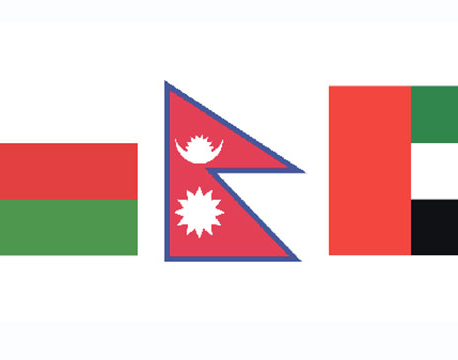 KATHMANDU, Oct 13: Nepal and Kuwait have expedited preparations to reach a formal labor agreement to benefit Nepali workers going there for employment. MAKAWANPUR, Oct 11: Chief Minister of Province 3, Dormani Paudel, on Wednesday stressed on the importance of tourism sector for the prosperity of the nation. Every day, more than 1750 passionate Nepali youths with extraordinary ideas leave the nation for foreign employment. TIA sees off many energetic youngsters with hopes of finding a better quality of life. If this trend continues, skilled manpower shortage in our country will peak even higher. 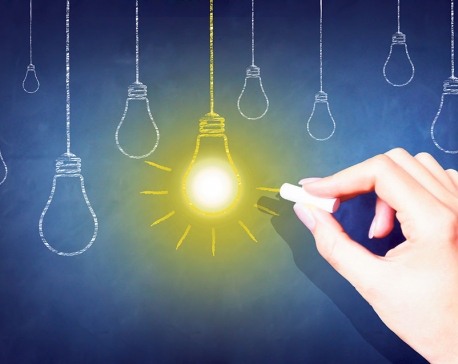 Therefore, we have to improvise the system of education in Nepal, encouraging students to be job creators, rather than seekers. KATHMANDU, Sept 3: The meeting of the House of Representatives held today has approved the proposal seeking deliberations on the Bill on Right to Employment-2075 BS'. 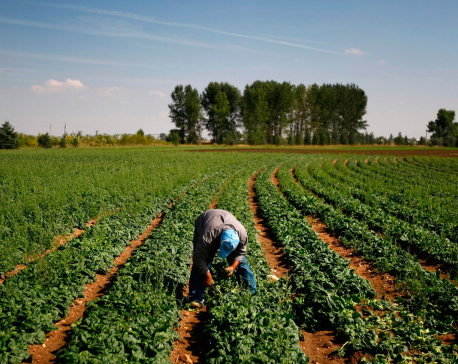 IRELAND, Aug 31: Low-skilled migrants risk falling into slavery in post- Brexit Britain, where a dearth of European workers will tempt abusive bosses into a race to the bottom, experts have said. KATHMANDU, Aug 27: The International Labour Organization and the Department of Labour and Occupational Safety jointly launched a smartphone application on public employment service centre amidst a special function in Kathmandu. 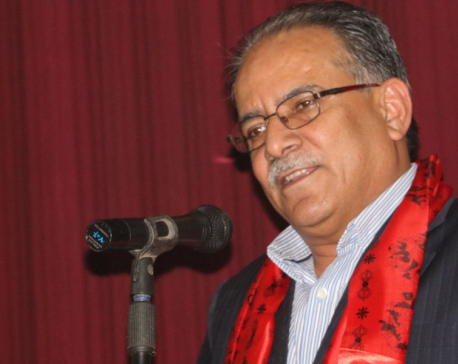 KATHMANDU, Aug 23: Chairperson of Communist Party of Nepal (CPN), Pushpa Kamal Dahal has said that the state should encourage creation of employment in the country. 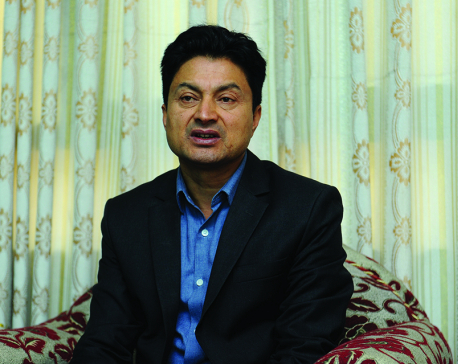 KATHMANDU, July 9: Minister for Labour, Employment and Social Security, Gokarna Bista, has said that activities have been forwarded to make foreign employment reliable, systematic and safe. SURKHET, July 2: As part of the 'Prosperous Birendranagar: One home, one woman employment' program, depending on the type of their jobs, women can get 50% loan without interest and 50% grant. For the first year of the program, the municipality has sanctioned a budget of Rs 18 million. 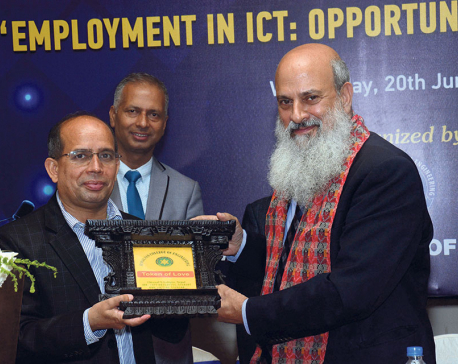 Himalaya College of Engineering organized a workshop entitled ‘Employment in ICT: Opportunities and Challenges’ at the Hotel Yak and Yeti on Wednesday. 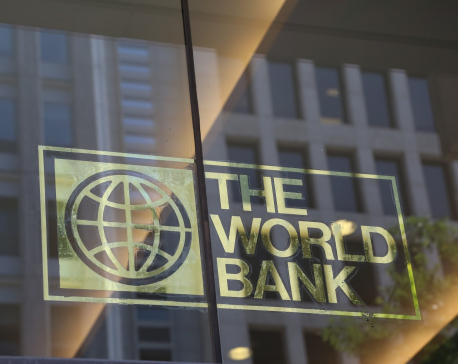 KATHMANDU, June 16: Nepal Rastra Bank (NRB) has opened the subscription of the Foreign Employment Bond with an offer of 10 percent interest rate. 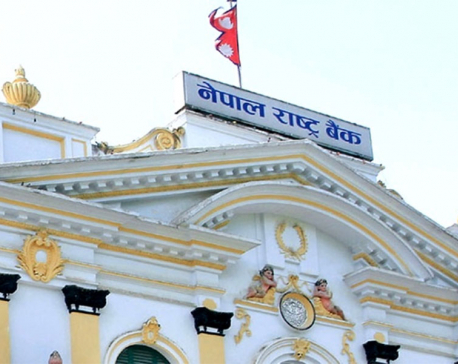 Through the ‘Foreign Employment Bond 2080’ with the maturity period of five years, the central bank plans to collect Rs 250 million from the Nepalese workers who have been working abroad, nor resident Nepali or those who returned from the foreign employment. 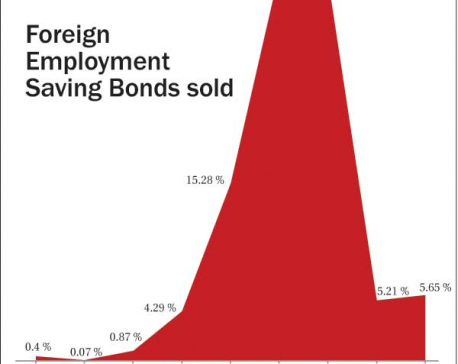 This is the third and last edition of the foreign employment bond that the central bank plans to issue in the current fiscal year -- FY2017/18 on behalf of the government. Thirty Innovation Leaders have been chosen to work with Daayitwa for the YuwaAaja Campaign. According to the press statement released by Daayitwa, the organization aims to enhance the innovation and leadership capability of the youth to help them advocate for progressive social change and favorable policy reforms on youth employment issues in Nepal. 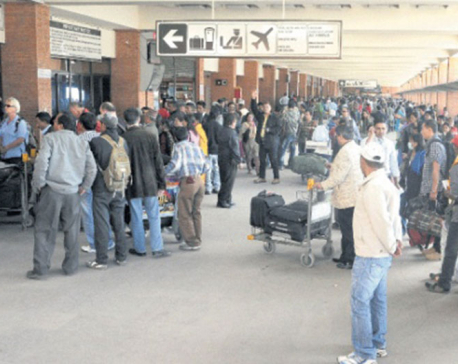 KATHMANDU, May 8: More than 1000 Nepali workers opt for foreign employment, according to a new report released by the Ministry of Labor and Employment-2018. KATHMANDU, May 8: The Council of Ministers has approved the 'inquisition guidelines' to minimize problems related to foreign employment. The guidelines was presented by the Ministry of Labour and Employment. KATHMANDU, April 28: The SOS Children's Village has pledged to extend necessary support to the government in promoting youth employment. BAITADI, April 15: During the local elections held last year, the candidates in Baitadi district had made various promises, including a promise for employment opportunities at the local level. 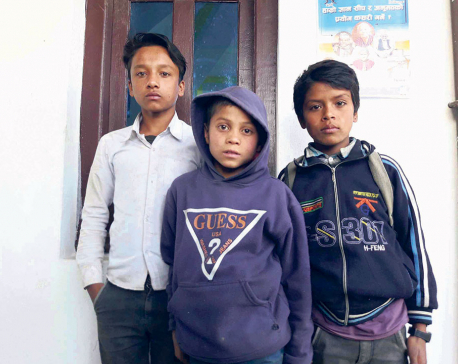 MYAGDI, March 30: Three sons of Dharmalal Rokkamagar and Lalmati of Malika Rural Municipality-2 of Myagdi had gone for foreign employment with the hopes of earning money and living a better life. However, all of them returned home in coffins within a decade. 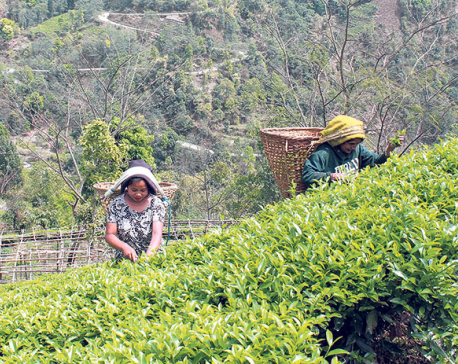 MYAGDI, March 30: Three sons of Dharmalal Rokka and Lalmati of Malika Rural Municipality-2 of Myagdi district had gone for foreign employment with the hopes of earning money and living a better life. However, all of them returned home in coffins within a decade. 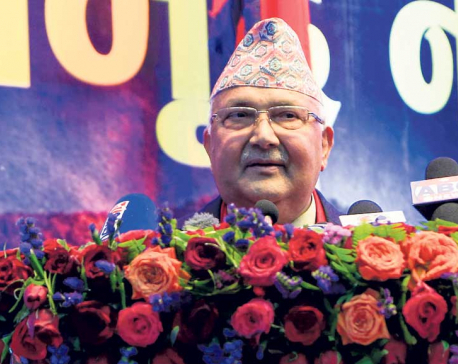 KATHMANDU, Mar 18: Minister of Labor and Employment Gokarna Bista has said that the government is preparing to amend the foreign employment act. 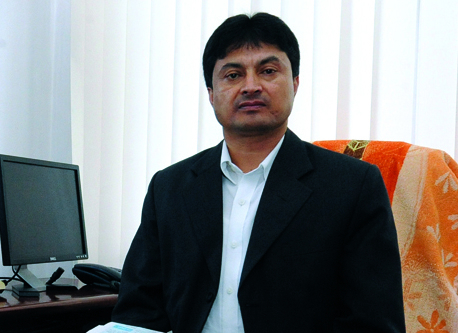 DHULIKHEL, Mar 17: Minister of State for Information and Communications Gokul Prasad Baskota has said that measures should be taken to create employment in the communications sector. KATHMANDU, March 17: Newly-appointed Minister for Labour and Employment and Social Security Gokarna Bista said that he would put his efforts to protect labourers and promote respect to labour. Caretakers of such children, who themselves are helpless, are urging the government to take care of such children along with making moves to avert family disintegration. 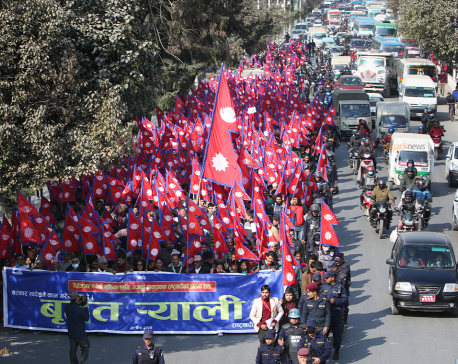 KATHMANDU, Jan 13: A group of youths has marched in the capital with national flag demanding employment within the country. They urged government to create an environment to work in the country. KATHMANDU, Dec 26: The Industry Ministry and National Youth Council have today signed an agreement in order to augment to the goal of poverty alleviation by creating employment and establishing employment-generating industries in the country. POKHARA, Dec 18: Speakers have stressed the need of making arrangement of employment in the county as Nepali migrant workers have been facing different problems in course of employment. KATHMANDU, Dec 13: Nepal Rastra Bank (NRN) is issuing foreign employment saving bonds of Rs 500 million, targeting Nepalis working and residing abroad or those who have recently returned from foreign employment. 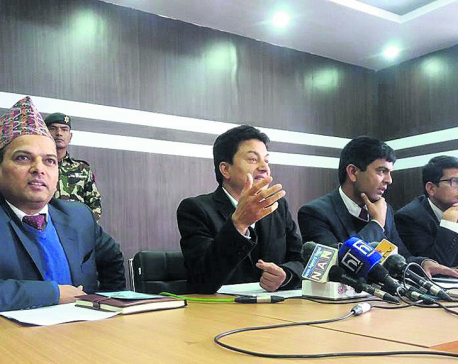 KATHMANDU, Nov 15: The Commission for the Investigation of Abuse of Authority (CIAA) has arrested Director General of Department of Foreign Employment Bishworaj Pandey on Monday. 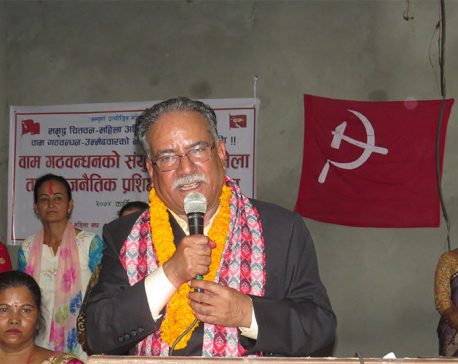 CHITWAN, Nov 15: CPN (Maoist Center) Charman Pushpa Kamal Dahal has vowed to provide houses to landless squatters and employments to the needy to garner support from the voters.